Mick Fanning, it doesn't matter that you didn't win today. We are so proud of you. 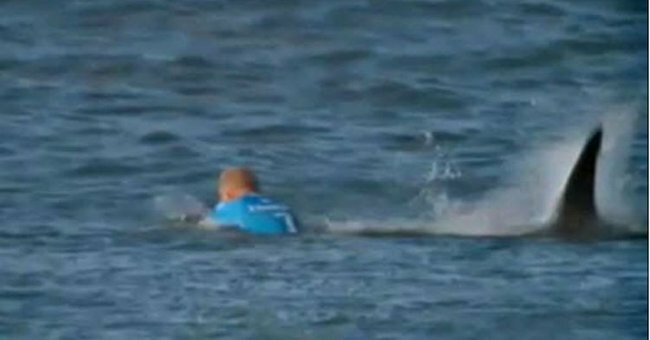 If it was, Mick Fanning would have won his fourth World Surfing Championship today. He would have taken his razor-sharp focus and his lion-sized courage and he would have surfed to a victory that would have had the whole nation cheering. Because in a fairytale, the day after you hear some of the worst news imaginable, that’s what would happen. Sites like ours would be overflowing with praise for a man who has endured a year few of us could imagine, and his name and face would have been hastily added to all those Legends Of The 2015 stories you’ll be seeing over the next few days. He would be hailed a real hero. It didn’t happen. Because life is not a fairytale, Fanning came second, deprived of his glory by a 21-year-old Brazilian surfer called Gabriel Medina, and a glorious 360-degree move on an epic Hawaiian wave. And you know what? It doesn’t matter one bit. 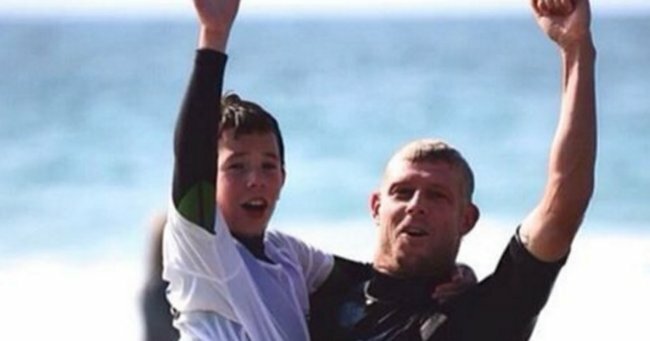 Today, Mick Fanning is a hero. And today, Mick Fanning is a champion. And it’s not because he’s a truly excellent athlete. And it’s not because he had the misfortune to come face to face with a great white shark in the cold South African ocean in July. And it’s not because he’s been beset by family tragedy. It’s because of who he is. And because of the way he has dealt with a year that could only be described as tumultuous. 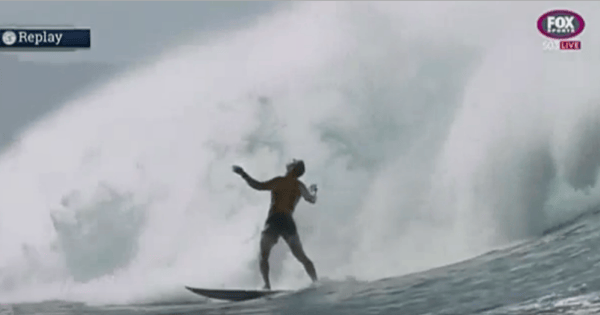 Male professional surfers hold a particular place in the folklore of Australian manhood. They are golden boys, revered and idolised, held up as rarified role models by young men. They are the chosen ones truly Living The Dream – travelling the world, doing what they love. Riding waves all day, partying all night, fighting off beautiful girls in bikinis, being handsomely rewarded with cash, and cred and sponsorship deals. It’s hard to imagine a more macho pursuit. So when Fanning smashed into mainstream consciousness in July with that fated shark encounter, we were all watching to see how he handled it. Would he laugh it off with bravado? Would he be angry with organisers for not protecting their talent? Would he talk up his part in what was undoubtedly a lucky escape? No. Mick Fanning and Julian Wilson – the young surfer who paddled towards his mate as he fought off a creature straight out of our worst nightmares – gave a press conference where they showed a country of young men that it was fine to admit to fear. To say that you are vulnerable, to say that you are shaken. To say that you will need help to get past this. To admit your strength lies in others. To be humble and appreciative of the fortune your talent has brought you. For every throwaway meme about Aussie blokes punching sharks, Fanning’s words were a reminder of how terrifying and earth-shifting it is to realise how very quickly everything can be taken from you. Mick Fanning is a man who knows how lucky he is. He told his story on 60 Minutes, and then donated his substantial fee – rumoured to be $75,000 – to Matt Lee, a bodyboarder from Ballina, NSW, who was terribly injured in a shark attack months before Fanning. Lee is not a professional surfer, and his surgeries were expensive. And then, Fanning took some time away, regrouped, and headed back to the water. And he was better than ever. Yesterday, he pulled off a career-defining performance moments after hearing of his brother’s death. The focus that requires is hard to imagine. The tragedy of losing his big brother Peter two days ago is not only Mick’s, of course. His mother, Elizabeth Osbourne, has already lived through losing a son when her boy Sean was killed in a car accident in 1998. It’s almost impossible to imagine how a mother survives that twice. But the image of her, by her son Mick’s side in Hawaii this morning, embracing him as he came out of ocean, safe, proud, says so much about that family. Mick Fanning is this year’s definition of a word we use too much: Resilience. When things are terrible and terrifying, fight. When the sorrow is overwhelming, look for the things that will bring you solace. When you don’t know who you are any more, pull close the people who do. And when everyone is looking to you for guidance, don’t be a dickhead. You are pure inspiration @mfanno ???? That’s what we wish for you and yours this Christmas, Mick. Peace. And we wish you a truly uneventful 2016. No, life is not a fairytale. But we are all so very proud of you. Alessa Quizon, Hawaii. Image via Instagram @alessaquizon. Bronte Macaulay, Australia. Image via Instagram @brontemacaulay. Chelsea Tuach, Barbados. Image via Intsagram @chelseatuach. 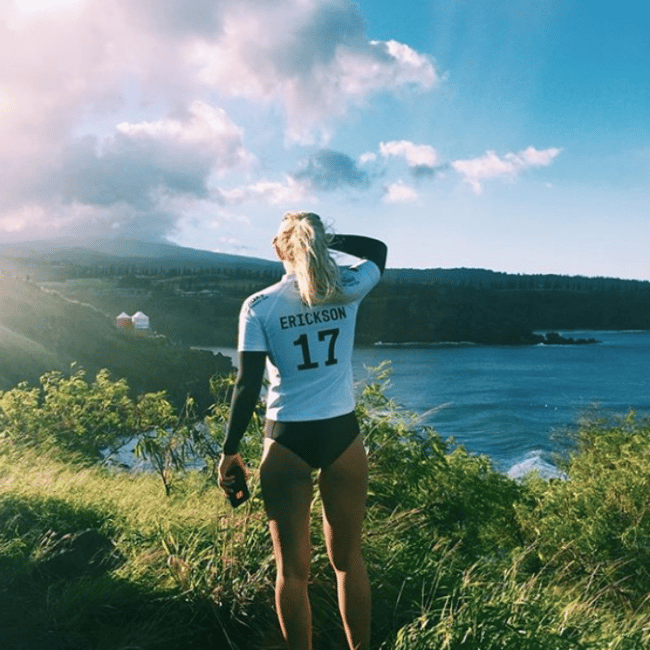 Coco Ho, Hawaii. Image via Instagram @xococoho. 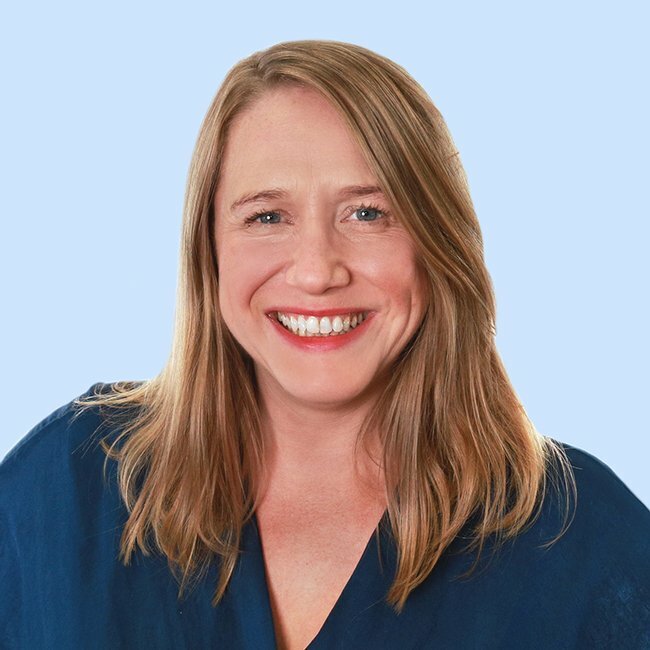 Isabella Nichols, Australia. Image via Instagram @isabella_nichols. Keely Andrew, Australia. Image via Instagram @keelyandrew. Laura Enever, Australia. Image via Instagram @lauraenever. Mahina Maeda, Hawaii. Image via Instagram @mahinamaeda. Malia Manuel, Hawaii. Image via Instagram @maliamanuel. 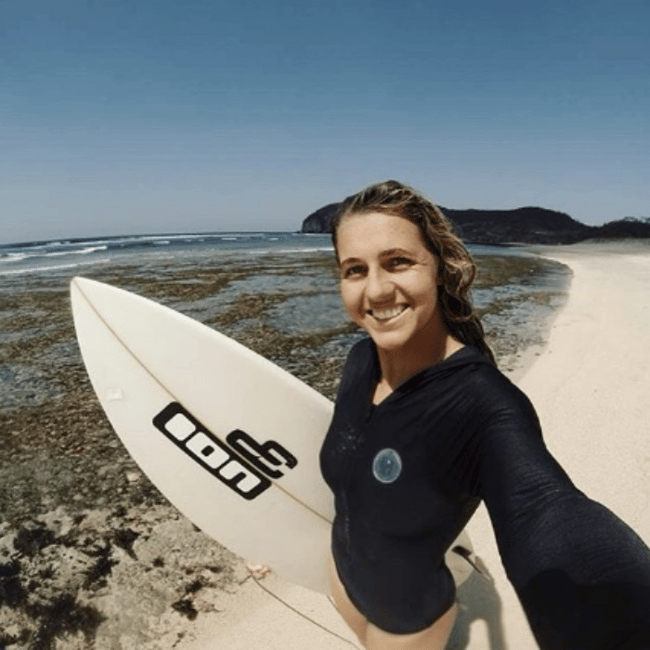 Nikki Van Dijk, Australia. Image via Instagram @nikkivandijk. Paige Hareb, New Zealand. Image via Instagram @paigehareb. Philippa Anderson, Australia. Image via Instagram @philippa.anderson. Sage Erickson, United States. Image via Instagram @sageerickson. Tatiana Weston-Webb, Hawaii. Image via Instagram @tatiwest.